For sale original Brabus Sport Exhaust and rear skirt/Diffusor. Have had the parts on the car for ~500 miles. 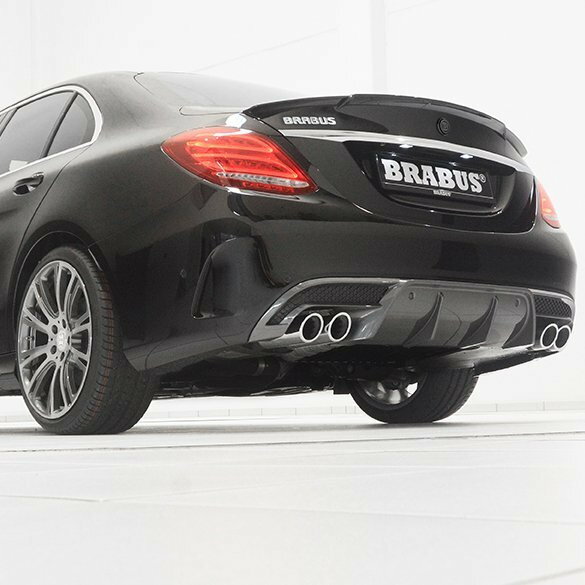 Purchased through German Tuning Corporation [GTC] and 3W Distributing (Henry is an authorized Brabus distributor). The skirt/diffusor is painted in MB grey but can be easily repainted. 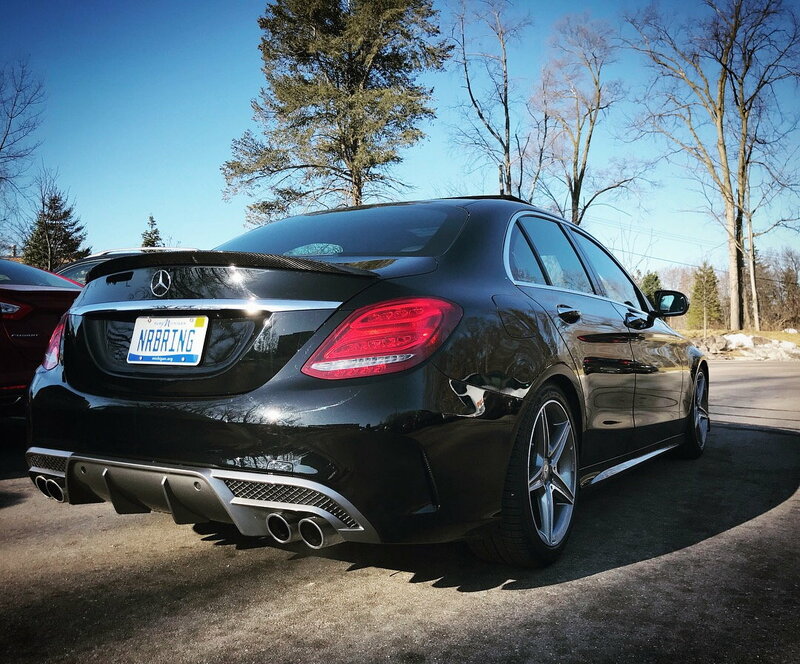 It's a very unique and, frankly, badass mod that totally transforms the looks of the W205. It's also made by Brabus so there is no droning noise. Will fit the C300, C400, and C450/43 without the AMG performance exhaust (if you don't have the exhaust button in the cabin, you have the standard exhaust). Installation takes ~30-45 minutes with the car on a lift. 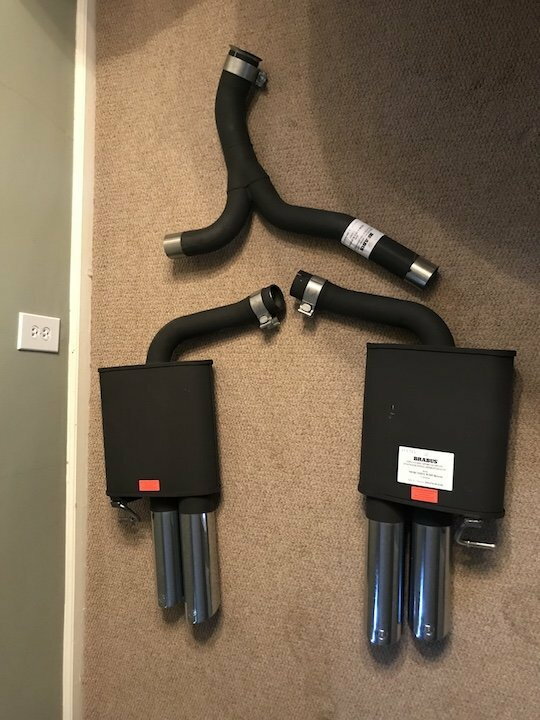 Selling the goodies because I switched to a C43 with the PE exhaust a month after installing it. Purchased for $3,800 in late-January 2018. Has been sitting in my storage room since February-2018. For forum members, letting them go for $1,700 + shipping. It will be later posted on Ebay for $2,000. 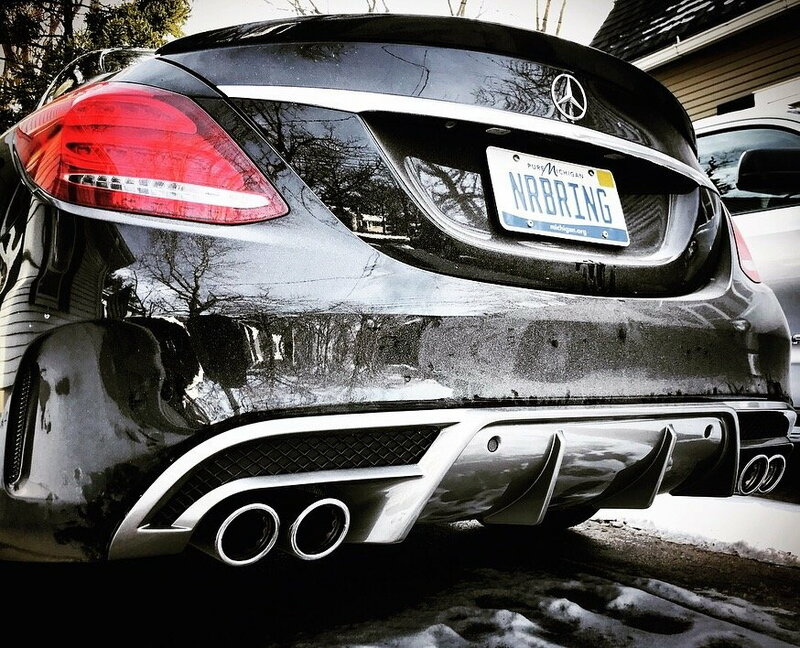 Is there a sound difference from the factory sport exhaust to the brabus ? Correct me if I'm wrong but this isn't the valvetronic one correct? Would you happen to have an audio clip if there is a sound difference ? I don't have a clip handy tbh. The sound gains a bit more bass. However, it's a turbocharged I4 (C300) which sounds like a vacuum cleaner to begin with. To add colorful flavor to it, you'd need to run a straight pipe exhaust. However, in this case you'll have to deal with the never ending droning noise. How it sounds on an M276 I do not know.